2 Corinthians 3:4 We are confident of all this because of our great trust in God through Christ. Hebrews 10:35 So do not throw away this confident trust in the Lord. Remember the great reward it brings you! Philippians 1:6 being confident of this very thing, that he who began a good work in you will perfect it until the day of Jesus Christ. Psalm 108:1 My heart is confident in you, O God; no wonder I can sing your praises with all my heart! 1 Corinthians 15:58 With all this going for us, my dear, dear friends, stand your ground. And don’t hold back. Throw yourselves into the work of the Master, confident that nothing you do for him is a waste of time or effort. Hebrews 10:22 So let’s do it—full of belief, confident that we’re presentable inside and out. Let’s keep a firm grip on the promises that keep us going. He always keeps his word. Let’s see how inventive we can be in encouraging love and helping out, not avoiding worshiping together as some do but spurring each other on, especially as we see the big Day approaching. These Scriptures are just some that inspire and encourage me when I get scared or shy or whatever the reason why I at times fight against whether I should dance or not and whether I will be open to what my teachers believe I can do. In our ohana, it’s good to be confident in who? Not in ourselves…we’re all chicken. But we can be confident in Christ. Artists, musicians, dancers are often introverts in daily living, but when they get on stage, they let DA-FEET do the talking and DEFEAT do the walking-out. Proceeds, from this song, go to the Japan Red Cross to benefit disaster victims of Japan’s Earthquake/Tsunami and to the American Red Cross for the victims of recent tornadoes in the southern United States. The questioner ‘s first thought was, ‘ That’s too simple! ‘ But upon reflecting over her own life, she recalled how she thought a bigger house would make her happy, but it didn’t! She thought a better paying job would make her happy, but it hadn’t. When did she realize her greatest happiness? Being with family and friends, a beautiful sunny day, taking a walk, eating pizza or reading a book, simple gifts from God. Now you know it too! We can’t depend on people to make us happy. Only GOD in His infinite wisdom can do that. Trust HIM! And now I pass the Secret on to you! So once you get it, what will you do? YOU have to tell someone the Secret, too! That GOD in His wisdom will take care of YOU! But it’s not really a secret… We just have to believe it and do it… Really trust God! Father in the name of Jesus Christ the Son of the Living God, I pray You open doors for the person who sent me this as well as those I am sending it to. Only You can open doors no man can close and for that we honor You today. Thank you for the open doors of life, health, strength, prosperity, wealth, and love. Also, thank you for closing the doors of death, sickness, weakness, despair, poverty, and bitterness. We love You today Lord and give You all the glory and all the praise. I seal this prayer in Jesus name, Amen!!! God closes doors no person can open & God opens doors no person can close. Even if you do not need God to open some doors for you, pass it on. Laurie is known for her eyebrow lift while she smiled or looked at the audience. It’s almost like enticing someone, which is probably close to a no-no for a Christian audience, but I’ve done it in a more friendly way instead of flirtatious. And it makes a difference from just “dancing” the moves we’ve been taught; not just going through the motions. Next time we learn a new song, it’s important to memorize the moves, but it’s more important to dance above all that and be able to express the words of the song through your hands, eyes, facial expressions, etc. Most of the time, we know the dance enough to dance it for an audience, but we’re so focused on the technical moves that we don’t bother with our expressions, gracefulness, connection with the audience. I’ve noticed also that just because it’s a worship song we’re dancing, we tend to act somber, no smiling, so reverent, so constricted, so rigid. The only moment (not a long time) we can look a little sad is when part of the song is sad. But Christian songs usually don’t stay sad and dramatic…it usually gets to the part of hope and joy from the Lord. So please, I know us teachers/leaders may sound like a broken record, but we have to emphasize that we are also witnessing to the audience something they would want to also have (joy of the Lord), not something scary, after watching our sad or numb faces and expressions. You know the verbage: say it like you mean it? Well, dance it like you mean it. Anyway, I want to talk-story about one of my hula mentors telling my group: You never know what or who God is going to use to get the attention of the audience. She said the adults were busy trying to perfect the moves to their hula. But in the show, one of the keikis was obviously not perfect and she made mistakes, she did a “solo”. After the show, many people came up to the little girl and saying that she touched them in a special way… She wasn’t perfect but the fact that she got up there and joined the adults ~ such bravery, candidness and spirit. You can say that God used this keiki to connect with the audience. I, too, have observed a similar story. One time in a former hula group, one of the students was correcting another leader/teacher in her dance while they were practicing. We all need to be teachable and open to correction…but the way it’s done, needs to be respectful. This student who was correcting was not even a teacher…so let’s try to leave the teaching and correcting to the job of the teacher. Most likely the student did not realize what she was doing. I bet in her mind, she thought she was helping. The irony or my point in all this is: Don’t forget the other side of hula. There’s a technical side. And there’s an expressive side. After they danced, people came up to the teacher/leader and told her that no wonder she was the teacher/ leader because it showed that she loves God; and that she was the best dancer because her expressions said it all. I hope that the one who was correcting her, sees the other side. And it may be the harder side, but if I too can teach anything about hula, I hope I can teach you all the expressive side. I believe this is what it means to give excellence to God: Just show up, do your best, and let the Holy Spirit do the rest =). This pastor’s message was about the Ark of the Covenant. The Ark of the Covenant symbolizes the presence of God or the power of God. If the ark goes before the warriors before a battle, they would win. When God comes before us, we have victory. Then one time, an ordinary guy named Obed Edom was blessed to have the Ark of the Covenant stay in his home for awhile until it had to be returned later to the city of David. When it was in his home, Obed was blessed to the max. Once you’ve tasted the presence of God, you will follow God wherever He is. This is what Obed Edom did. 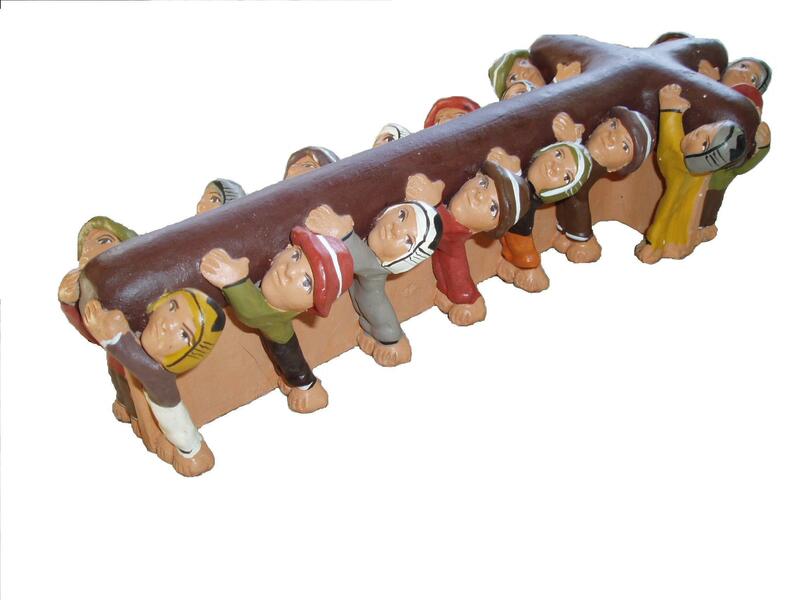 The ark had porters or another name for them, janitors, to clean the ark. Obed Edom volunteered to be janitor. Once you’ve tasted the presence of God, you will do whatever it takes to get back to how it once was, to get closer to God. The Ark of the Covenant was taken care of lavishly. There were even harp players near the Ark of the Covenant. Well, just to get closer to the ark, Obed Edom became one of the harp players. It goes on and on. There were doorkeepers and gatekeepers for the Ark of the Covenant, and guess who volunteered to work? Obed Edom probably had 6 jobs to do with the Ark of the Covenant! There is a battle for the presence of God. Seize the moment. There are many examples of people in the Bible that seemingly disqualifies them to have to do anything with God and vice-versa…with God have to do anything with them. David was immoral but he decided to stay close to God anyway. Jacob decided to hang on to God, until God blessed him. Decide to not be a powerless person. God uses those whose lives have been transformed by Him. If unbelievers only knew… you don’t have to be perfect to be Christian. You don’t have to know everything. You don’t have to be perfect to love God, serve God, and even hold on to Him. You just have to let Christ into your hearts and life. It’s what Jesus did and does that is powerful, not our struggling to be perfect or be human “do-ings” instead of human BE-ings. God does the hard work for you. Your part is to have that yearning to know Him more, love Him more, serve Him more, just to be in His presence. Sometimes our priorities or motives get messed up or misdirected. It’s hard to balance rest, margins, boundaries, and then not burn out doing so many good things for the church or ministry. 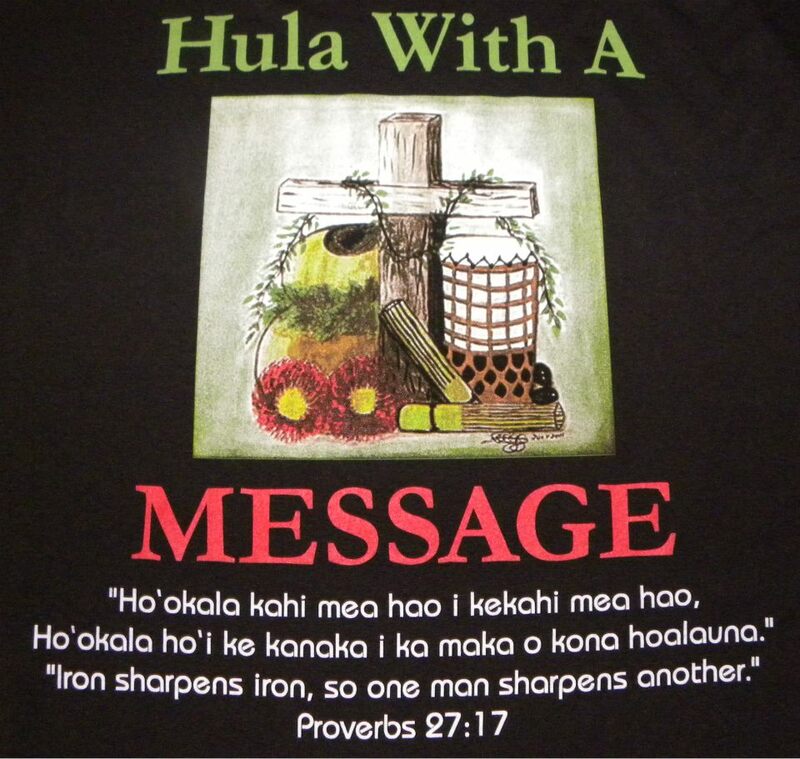 But this message of having a motive to serve, dance, worship, just to be close to God ~ is a very convincing, motivating and encouraging outlook, spirit and attitude, when we have an opportunity to hula and minister to our audience at an event, church, etc. Pastor Matthew Barnett’s message on Sunday, was entitled, * Radical Acts of Irresponsible Kindness. This title mostly reflects how Jesus has “out of the box” logic/thinking. Giving doesn’t seem like receiving at first, but it can be understood as “bounce back blessings.” An illustration used was one person was bouncing a ball to another person’s body facing him. Naturally, the ball bounces back to the giver. Serving produces healing to ourselves. Thank God WE GET TO serve. We need to serve out of our pain. If you want to quit, tell someone else not to quit. You can tell them, “You need the joy of the Lord… and I need the joy of the Lord.” The love you’re looking for is the love that you give. This is so true in some experiences in the past. One time I delivered “Angel Tree” Christmas gifts to kids of incarcerated parents. When I got to one of the homes, a little girl came up to me and led me inside. Inside they were eating snacks. The little girl gave me a Styrofoam cup and inside were little goodies, cookies, candy, nuts, all wrapped up like a gift. I was touched because how ironic this is that I’m supposed to be giving gifts and this little girl gave me a gift. It was a humble little package but a big serving of thoughtfulness. That was one of the best gifts I’ve ever received! Another time, a group of us went to Tijuana, Mexico to visit an orphanage and same thing happened. We thought we were going to be blessing the kids but it ended up the kids at the orphanage blessed us! Some of us didn’t know how to speak Spanish so we were worried that we wouldn’t be able to communicate with the kids. Later, someone told us, it’s not the language that the kids appreciated, it’s the time you spent with them. Wow when I heard that. Also I planned to teach the kids a fun quick hula, but most of the kids were boys. 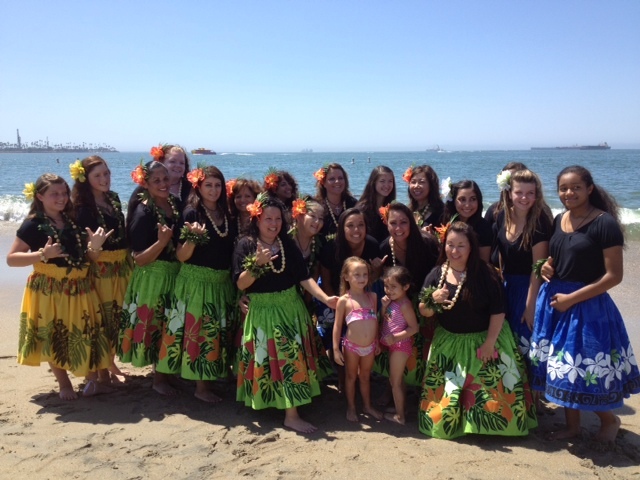 I thought to myself, “Great… the boys wouldn’t participate…they’ll think it’s sissy or something.” Next thing I saw, all these girls AND BOYS lined up, all excited to participate and they hula’d their hearts out. What a blessing. Another blessing was to see the kids at the orphanage act so civilly, politely, kindly, and so thankful when we were handing out more goodie bags. First of all, they lined up in a single file, so well behaved and disciplined instead of just pushing each other to get to the front of the line to get their goodie bag first. And then we ran out of goodies and didn’t have enough to give to each kid. Instead of complaining and getting mad at us, some gave their own bags to another kid. One of the kids said to us, “It’s okay,” as if to console us from our worried faces. Double wow. 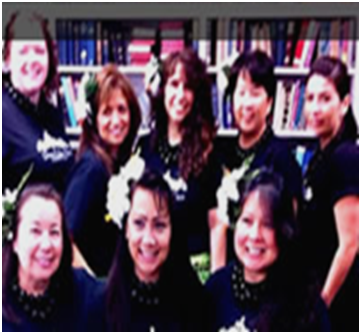 So in our hula ohana, we give all the time… our donations for use of our room, and donations for costumes and other ministry expenses. We give of our time, fuel, energies. 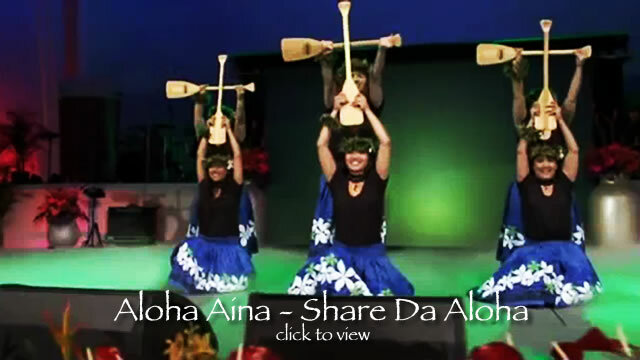 But I pray that you experience God’s blessing on you when you dance for Him and for our audiences…that someone tells you that you’ve blessed them with your hula. When that happens to me, I get goose-bumps, I mean, chicken skin… and I feel like the Holy Spirit just hugged me right there and then. Thank You, God! Are ya feelin’ down? Need a little “pick-me-up”? Trying to recover from the recent flu outbreak? Or have you experienced a loss lately? Well, join the club, my friend. And welcome to my world. My mom recently passed away; congestive heart failure. It’s been an exhausting four weeks. Needed much rest and took a break from hula. Thank you for everyone’s prayers and sympathies. You lifted me up. We would never know how much it helps to have ohana, extended family and friends caring about us, checking up on us, carrying our heavy load, heavy hearts until it happens to us. I don’t know how others do it without God, without a support system, a church family, a ministry network to put their arms around you and let you lean your head on their shoulders. Brothers and sisters, if someone is caught in a sin, you who live by the Spirit should restore that person gently. But watch yourselves, or you also may be tempted.2 Carry each other’s burdens, and in this way you will fulfill the law of Christ 3 If anyone thinks they are something when they are not, they deceive themselves. 4 Each one should test their own actions. Then they can take pride in themselves alone, without comparing themselves to someone else, 5 for each one should carry their own load. We too always try to point to someone else, but we don’t have anything to do with other people’s business UNLESS we are helping with their business. Instead of complainers, we should be solution-minded. The preacher was recently in a city council meeting. He told his associate pastors who were with him that he did not want the church to be seen as downers. Instead they should be lifters. So when the council asked for help, the church volunteered to alleviate and solve problems and meet needs. The preacher also wanted to clarify that in Galatians 6:1-5, there seems to be two contradicting principles: “Carry each other’s burden” and “..for each one should carry their own load.” What this meant was that we should carry our own burden AND also carry other people’s burden. The beauty of this is that when you are lifting other people’s burden, you are actually lifting from your own burden. from every tribe, language, people, and nation. It reminded me of that song, “All The Nations”, that was in my open-ended wish-list of songs to hula to. All The Nations would also be fitting to a special program that Susan, Mary and I were thinking of doing: Learn different dances for our next fundraiser. For example, learn a Japanese style dance, a Native American dance, a Latin dance, etc. 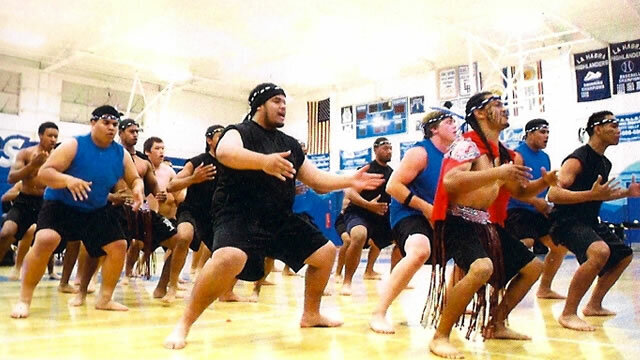 along with our traditional dance of choice ~ Polynesian style. Anyway, in the song, All The Nations ~ it mentions that all the nations, every tribe, belong to God. From the Christian radio program though, what I got out of that was… this new song the people were singing about, was not just another same ol’ same ol’ song of worship or praise, etc. It was a different and much more special song. In fact, only the people that went through hardships, pain, struggles, conflict back then, can truly sing that song, because they gone through so much and Jesus has gone through so much for them and have redeemed them that nothing compares to the joy that caused them to sing a new song. What the pastor preaching also added was that sometimes we whine and complain to others about our pains, hurts and struggles. And yes, we need to share our burdens and let out frustrations and vent. At the same time, we have to watch out and not overdo it. Not only that, our audience can encourage and comfort us but they have to watch out also because if we over-dramatize our challenges and situations and expecting others to empathize and sympathize, it’s also a mixed message that we are not trusting God in our woes, sorrows, or hard times. A better solution would be to share your burdens but also encourage yourself and your audience back with…singing a NEW SONG. The hope, peace, and love of Jesus doesn’t change just because our circumstances change. Jesus isn’t absent just because things don’t turn out the way we wanted it to. We have to accept God’s will and God’s ways in our lives, because He knows best. I’m singing a new song to thank you, ohana, for your prayers and concern for my mom, who is in hospice. And as I dance for a friend’s funeral this Saturday, I’m figuring out that one of the purposes of funerals and loss of our loved ones is to remind us of our own mortality and how important it is that we and our loved ones know Jesus and accepts Him as our personal Savior, who suffered for us, just so we can sing a NEW SONG. Life on earth is but a fleeting moment. Life is too short not to sing a new song, no matter what’s going on. God is STILL good. God is ALWAYS good. 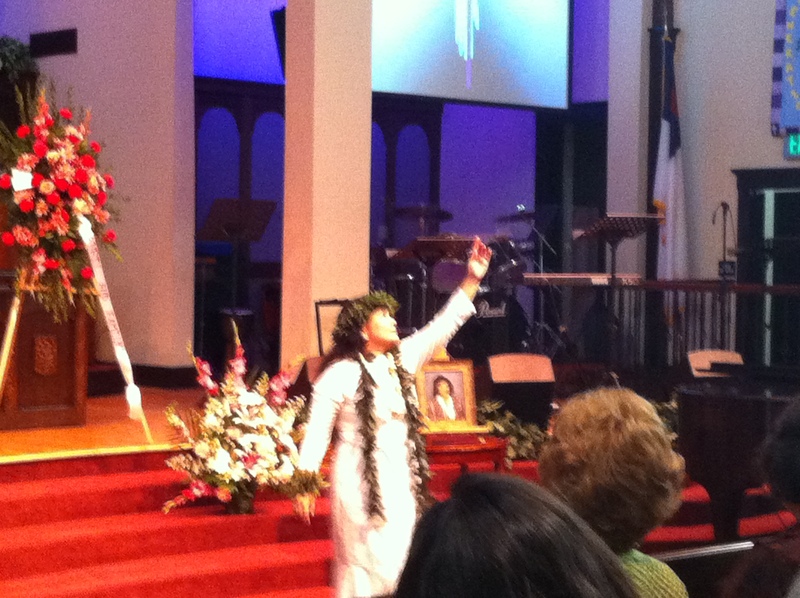 On February 2, I will be dancing worship hula at a memorial service for a lady named Jean Smith. Jean helped me as a volunteer at the church office. She loved the Lord, music, and dance. I told her about worship hula and she’s seen me at a church event but she had wanted to see one of our events outside the church. So I got her a ticket to one of our fundraisers last year. Unfortunately, Jean was not feeling well that night of our event and she was not able to attend. Sadly, she passed away January 6. I wanted to do a tribute to Jean through dance at her memorial service. Even though she didn’t see our hula event, perhaps she will be looking down from Heaven and see me hula to Amazing Grace, in her memory. This reminds me how little time we have left in this world and in this life. And how many times we put off doing things for our loved ones, before it’s too late to show much we love and appreciate them. I’ll segue to the (Spring/Easter) Scripture theme of the Revolution Ministry that I help out in. Romans 5:8 goes: But God demonstrates his own love for us in this: While we were still sinners, Christ died for us. In a way, this kinda also shows my point that if we wait too long, things may not get done at all or we might not be able to or we might not have time left to do them. God loved us and saved us, even when were still sinners. He did not wait for us to be perfect and do better. He loved us and wanted to come to Him just as we were ~ with warts and all, with weaknesses, failures, disobedience, brokenness, and unloveable selves. If He had waited for perfect conditions, we would have never been saved at all. And if He had waited to rely on our trying to be perfect, we wouldn’t be able to be perfect. We all fall short of the glory of God. There is only One who is perfect: Jesus. Thus, that’s who Father God sent to solve our problems, sins, and to give us salvation. He sent His own Son to help us. That’s what I call….God’s Amazing Grace. Today, I had a hard time waking up and getting up from bed. It was a combination of fatigue from the past month of holiday hustle and bustle, and the past weeks of “’Tis the season to get sick”, not to mention the lack of enthusiasm in going back to work from a long vacation. I finally got up after I asked Brooks to pray that God helps me to get up and we prayed. Yes, people, you can pray for anything and everything, from major issues to even the most minor issues such as help in getting up and going in your day. Matthew 17:20 goes: And Jesus said unto them, Because of your unbelief: for verily I say unto you, If ye have faith as a grain of mustard seed, ye shall say unto this mountain, Move hence to yonder place; and it shall move; and nothing shall be impossible unto you. Great faith is not bad at all. But it does focus its attention and power to ourselves. We do our part to choose and have faith. But if we start thinking that it was solely us who gets credit for the power and all things possible, it shows we have overblown pride and false thinking. The true power comes from God. Furthermore, our human power can only go so far. God’s power is limitless; all things are possible with God. If there was any limit, it was God’s choosing to protect us from things we want but are not good or wise for us in the long run. Speaking of “long run”, thanks to our great faith in a great God, He blessed us big-time last year, 2012. 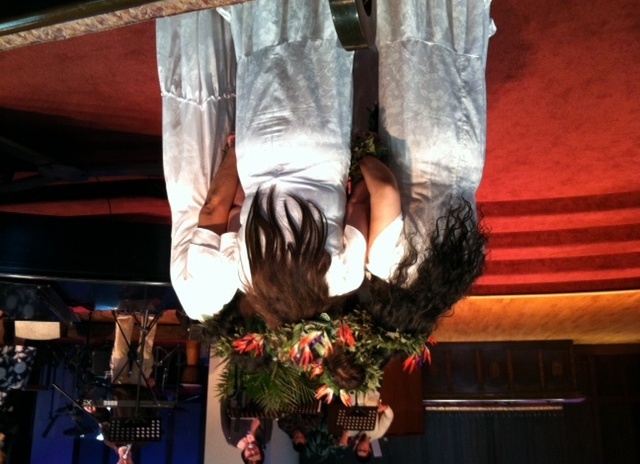 If you look back at all our past events (see our website: ohanaokeakua.com), I’m in awe in how much were made possible. I know it couldn’t have been in our own strength or pure adrenaline and passion, but in supernatural, divine help. Now we are starting a new year and continuing our ministry. We may feel tired just thinking of all the practices, teaching, events, etc. and that feeling would be naturally understandable and a given. If we base it on our own power, it would not be possible physically, mentally, emotionally, financially, etc. If we base it on our great God’s great power? Well, you get the gist now ~ Matthew 17:20.